If you attended Google I/O, then you likely haven’t forgotten Google’s promise – that they would send you a Moto 360 as soon as it became available from Motorola. Even though we still don’t have an official launch date from Motorola, we know that those specifics are coming on September 4 at a press event. In an email rolling out this morning to Google I/O attendees, Google is reminding folks that the watch is coming soon, maybe even sooner than we had expected. 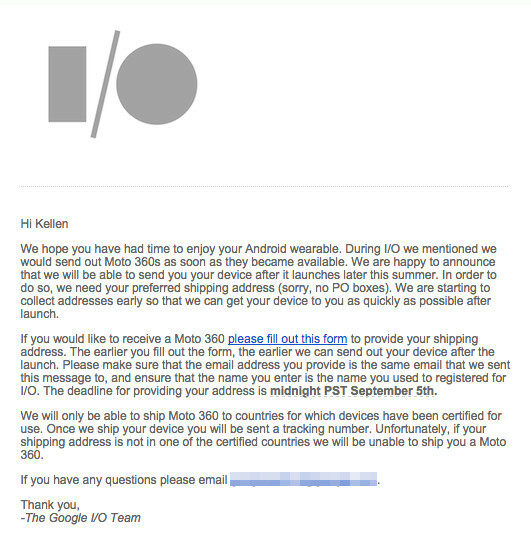 In the email, Google reminds attendees that they promised them a Moto 360 and that they planned to ship them “as soon as they became available.” No mention of a specific ship date was given, but they are giving attendees a deadline of “midnight PST September 5” to register their addresses. That happens to be the day after Motorola will give us the details for the 360. 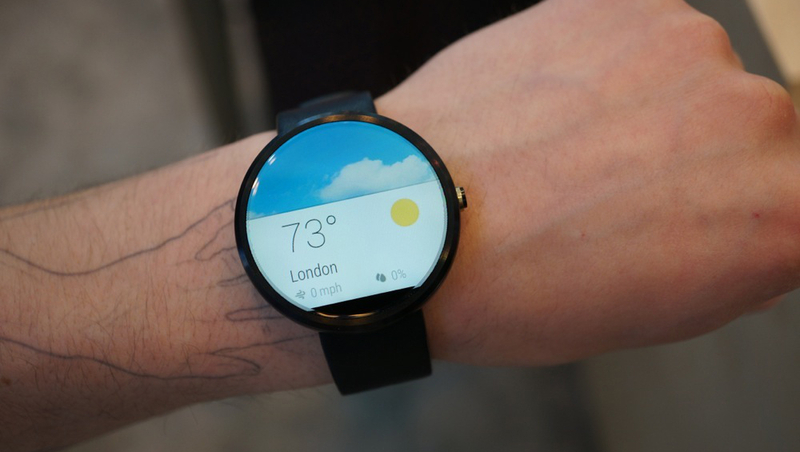 Is there a chance that Motorola will make the Moto 360 available within days of its press event? That’s pure speculation of course, but the deadline for I/O attendees to provide their addresses being so close to the event has us more excited than ever. If you attended I/O, be on the lookout for the email below. You will want to make sure you fill out that form before midnight on September 5.